Amazon is at present offering Sony’s former flagship smartphone of 2013, the Xperia Z, for $449.99 as part of its Boxing Day Deals Week, which ends December 31 — shaving a whopping $330 off of the online retailers usual price. 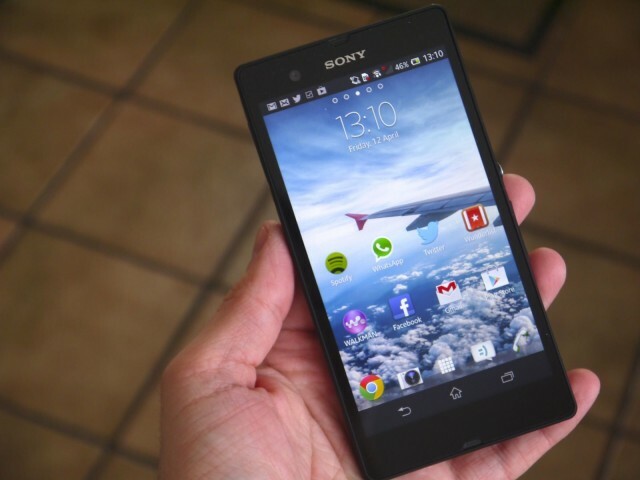 The Xperia Z was released back in February 2013 and was the most-impressive IP57 certified (dust and water resistant) handset to enter the market at the time, packing a 5-inch TFT capacitive touchscreen with a resolution of 1080 x 1920, a Qualcomm MDM9215M chipset powered by four 1.5GHz Krait CPU’s, 2GB of RAM, an Adreno 320 GPU, 16GB of internal storage (expandable up to 64GB via microSD), a 13.1-megapixel rear-facing camera and a 2,330 mAh non-removable battery. In addition, the handset ships running the latest build of Android 4.2.2 Jelly Bean with Sony’s Xperia user interface pasted on top, but the device is expected to receive the much-anticipated Android 4.4 KitKat update within the next couple of months. If you like the sound of the Xperia Z and want to pick one up for the discounted price of $449.99 — click the source link below. The post Amazon Listing The Sony Xperia Z For $449.99 appeared first on Cult of Android.